Coastal Erosion Research Papers study this ecological hazard and the erratic weather patterns its causes. Coastal Erosion research paper due and don’t know how to start it? How about like this? Coastal erosion is an ecological hazard that has been occurring for centuries however rising sea levels and increasingly erratic weather patterns have the potential to advance the danger and destruction to much greater levels. While the tumultuous wave action created by huge storms such as hurricanes is the most contributive to coastal erosion, the normal but repetitive wave action against the shoreline is just as destructive over the long-term. 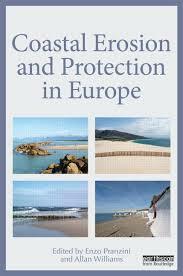 Paper Masters can compose a custom written research paper on Coastal Erosion that follows your guidelines. Even after recent decades of catastrophic storm systems that have contributed to shoreline erosion and the intensified efforts by the U.S. Army Corps of Engineers, there is still no entirely successful or long lasting method for securing nature’s shorelines. This deficit presents major implications for increased research on developing mechanisms that will secure shorelines and ultimately their inhabitants. There have been a variety of solutions created in the attempt to assuage the erosion process on shorelines including trapping and pumping sand into eroded areas or areas faced with erosion as well as consolidating groups of barrier islands into single “sandboxes”. While these measures have worked to temporarily protect property, they have been unable to prevent erosion from catastrophic weather events that increase the size and intensity of wave action. Abandoning Fossil Fuels - hydrogen is environmentally friendly, and by replacing fossil fuels, it may help restore the ecological damage of fossil fuels and prevent more global warming. El Nino research papers analyze the phenomena of the changing wind and weather pattern that occurs every four to seven years. Order a research paper on El Nino from Paper Masters. Paper Masters writes custom research papers on Coastal Erosion and study this ecological hazard and the erratic weather patterns its causes.